Do I have to be a long-time, experienced attorney to write for the NCBA? We welcome proposals from both new and edperienced attorneys. If you are informed, enthusiastic and dedicated, we encourage you to reach out to us. What if I am interested in writing, but I don't have a particular topic in mind? We are more than happy to work with you to determine a topic that will be a valuable resource for attorneys in your practice area. Is there a specific page count that is required for the submission? In short: no! If your submission is accepted by the NCBA, you may be asked to expand upon the content, but there is no set page count that must be met initially. Depending on the topic, format and other relevant factors, target page count for the final, published work varies widely. The NCBA acknowledges that there is not a single format that is appropriate for each and every publication. Therefore, we are not adamant that each publication should adhere to stringent size and/or page standards; we will work with you to determine the best fit. How long does it take to produce a publication from the time an initial proposal is submitted to the time that it is released? If your initial submission consists of an outline and brief summary, you will typically be given 6-12 months to write a first draft. However, if you have submitted a more complete manuscript and are asked to expand upon the content, you may be given approximately 1-2 months to complete this task. Once the draft is accepted by the NCBA, the CLE Publications Department will begin initial production, including proofing, editing, formatting, etc., which typically takes about 1-2 months. The formatted manuscript will go through 1-3 proofing cycles with the author(s) and the NCBA CLE Publications Department, with each round lasting about 4-6 weeks. Please note that proposals and the materials submitted with them cannot be returned. We suggest using inexpensive recording media. Do not send original documents. What are the primary benefits of publishing a book with the NCBA CLE Department? 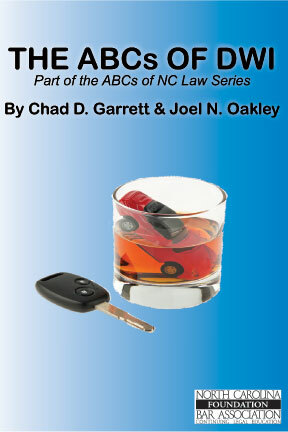 Sets you apart from the thousands of other licensed North Carolina attorneys. Through this business development opportunity — available exclusively to NCBA members — authors are equipped with dedicated resources, expert guidance and an established publishing platform. I have a question about becoming an NCBA author. Whom should I contact? Feel free to contact Laura Bonfiglio via email with any questions: lbonfiglio@ncbar.org.